Mention the word skincare routine, and we often think hours spent in the bathroom, trying to achieve skin that is beyond perfectionism, well that’s what I think anyway. We are so conditioned by mass marketing of beauty products to think that a. somehow this product will make me more beautiful , b. that this product will completely change my life, c. this product will make my skin just like the photo in the advertising. Before we delve into all of this, you are beautiful the way you are , whatever skin type and colour you have, so don’t let any kind of mass advertising influence your own beauty. Its frustrating to try so many different things that waste our money and time. I personally believe that with skin especially so much of it is what you eat and drink. Plenty of water throughout the day is a simple way to look after your skin with minimal effort. I would also recommend a plant based or vegan lifestyle. For a lot of women dairy products cause a huge problem to the skin and cutting this out of your diet can make a big difference. Alongside what you eat there a handful of products that can elevate your routine. I always try to look for products with the least amount of ingredients i.e. as natural as possible. 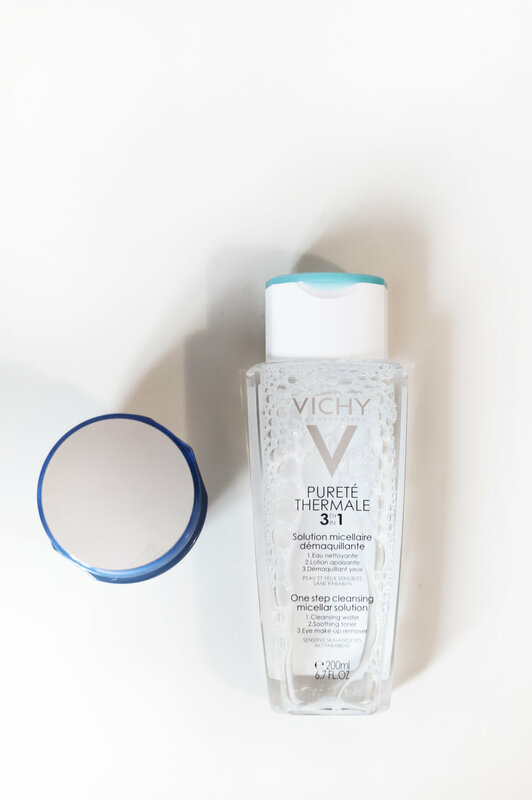 Vichy, Glossier and La Roche Posay are great brands for natural skincare products. In terms of my own skincare, I just use two products that is a gentle cleanser (that also removes makeup) and a moisturizer. Voila, super super simple.